Hello! I’m John Malapitan, a new author and editor. I have been watching Anime and reading Manga since the first time I was introduced to it at Anime Expo 2007 at Long Beach, CA. I recently went to AX again just a few days ago at Los Angeles, CA; I plan to go every year from now on! I am currently a first year college student studying biochemistry. I have been a “Closet Anime Fan” because a lot of my friends thought it was I guess “Childlike”, but now I want to socialize with the community more and add my input, specifically to romance anime; I have seen from Aishiteruze Baby to modern romances like Amagami SS, Midori Days etc. I also enjoy watching others like Railgun, Oreimo, Hyouka, Ano Hana, SAO, Attack on Titan etc. I’m planning to add content to the Anime Review section, and also talk with the people using this site! I hope we can get along! Last month the Animeph team visited the Dokomi anime convention again. 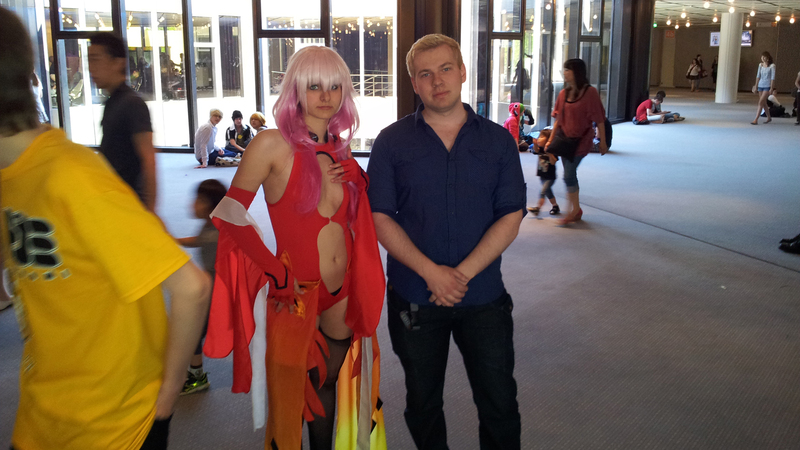 It was an enjoyable day with lots of events and beautiful cosplayers. 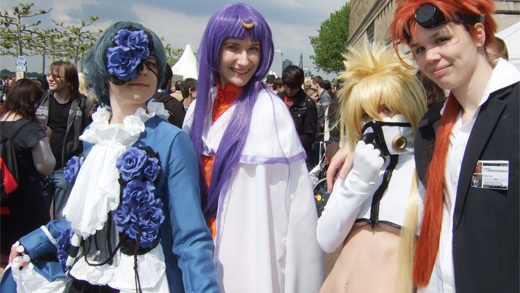 Just a week later we went to the twelfth Japan Day Düsseldorf, an open air event with more than 600000 visitors. 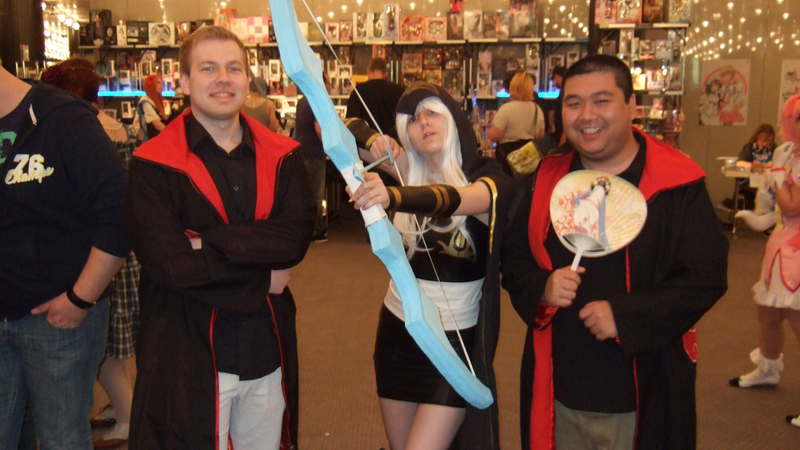 Below are some cosplay pictures we took. On an unrelated note, I apologize for the 2 week downtime that occurred recently. Our server provider messed up our data, so we switched to a more expensive dedicated root server. I hope in the future there will be no more issues. Also, page load speed should be improved now. Hello fans and folks. 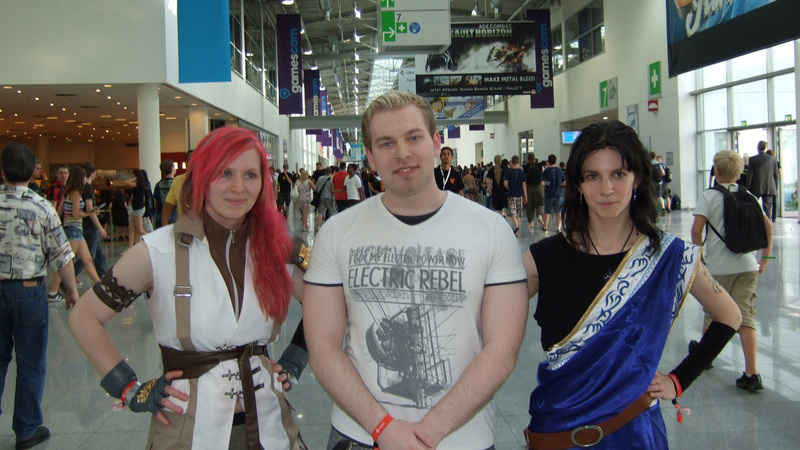 This year I was at Gamescom 2012 in Cologne and here are some impressions I want to share with you. This year they opened two additional halls to expand their fairgrounds by more than 15000 square meters. 6000 companies from gaming and entertainment industries have shown their new developments. 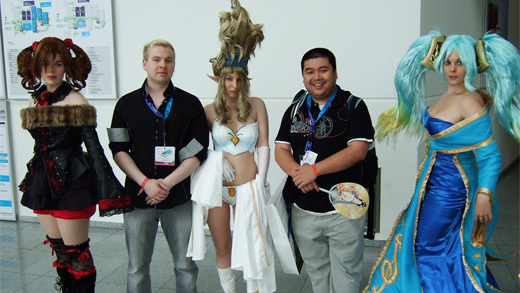 Animeph was also there for you and took a special look at upcoming games from Japan and of course cosplay. This year Gamescom was a lot more interesting for cosplayers and anime fans, as there was an area especially dedicated to them. In hall 11 there was a vast playground for Japanese culture fans and it took a whole enjoyable day to visit all interesting places there. There you could sing karaoke, listen to Japanese pop-bands or talk to a lot of cosplayers and mangaka. 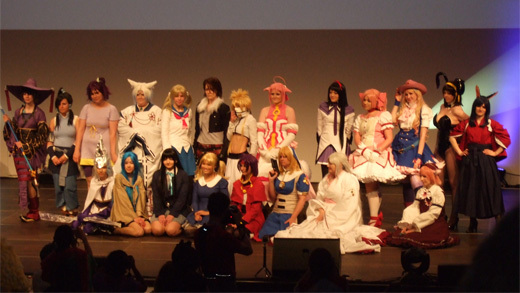 You could also join a cosplay competition event and win prizes. It seems Gamescom wanted to expand their influence to the anime fandom and succeeded. Here is a pic; enjoy. 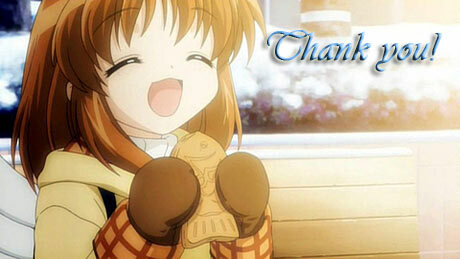 First of all I’d like to thank everyone who visits and enjoys Animeph and those who offer their help and support. We have grown and improved over time, so that thousands of people from all over the world check by every day. The “downside” to that growth however, is that our server provider blocked our site for several hours in the last few days due to using up too much traffic and performance. We will switch servers as soon as possible and I hope that this problem will be fixed within this week. Edit 05/01/2012: The problem is fixed now and in addition all pages should load faster now. Thanks for the patience. We at Animeph.com wish a happy new year to all otaku and fans of Japanese Culture out there. Lets hope that this new year will be filled with promising new titles and sequels like the last one was. You can check out the new shows for this January in my Winter 2012 Anime List and I’ll update with news for the Spring season soon, so keep checking by. Last week I visited Gamescom in Cologne (Köln), the biggest games convention in Germany with more than 250000 visitors this year. Luckily I was there on one of the less crowded days, yet you still had to wait for hours to test one of the most popular games like Mass Effect 3, Battlefield 3 or the Starcraft II expansion. 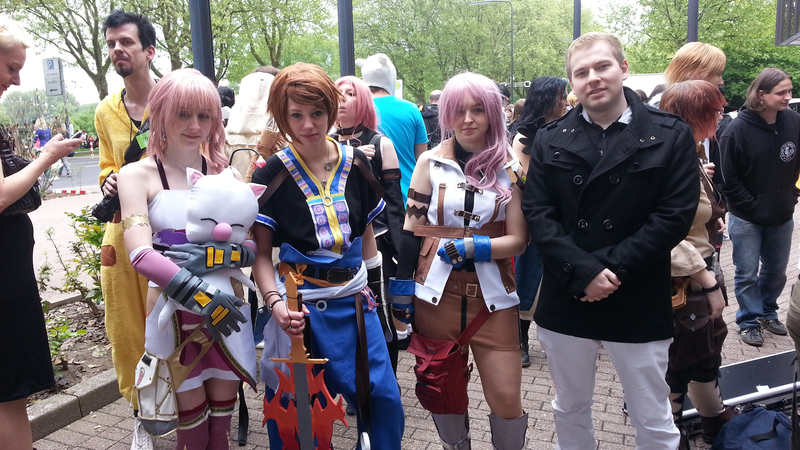 Just wanted to share this awesome Final Fantasy 13 cosplay of Lightning and Fang with you guys. Enjoy. On March 11th a massive 8.9 magnitude earthquake occurred in the pacific ocean with the epicenter east of Sendai which is northeast of Tokyo. It was the most massive earthquake recorded in Japanese history and was followed by more than 50 aftershocks. Only 15 minutes later a 10 meters high tsunami wave hit the coast and left nothing but ruins in its wake. Residents near the Fukushima I and II Nuclear Power Plants were evacuated in a 10 and 20-kilometer radius as a precaution of possible contamination. Our hearts and hopes are with all the families impacted by this huge catastrophe.